Flower Essences are not therapeutic drugs - but work on the mind, body and spirit and are obtained by extracting the healing vibrational quality from the most evolved part of the plant - the flowers. They work on an emotional level, harmonising negative feelings and belief patterns, held in the subconscious mind. Flower Remedies are not new. The Australian Aboriginals have always used flowers to heal the emotions, as did the Ancient Egyptians. There has also been a very long tradition of use of Flower Essences in India, Asia and South America and they were also very popular in Europe in the Middle Ages. There has been a great need for remedies that would help people deal with the mental and emotional issues of the 21st century - sexuality, communication skills and spirituality to name but a few. The answer to this need has come from the Australian plants, developed and researched by Naturopath, Ian White a fifth generation Australian herbalist. Australia has the world's oldest and highest number of flowering plants exhibiting tremendous beauty and strength. Also Australia is relatively unpolluted and metaphysically has a very wise, old energy. Practitioners world wide are now incorporating the Australian Essences to form an integral part of their therapy. We believe that good health is a result of emotional, spiritual and mental harmony. Disease (dis-ease, that is not at ease with oneself) itself is a physical manifestation of emotional imbalances, put quite simply where the emotions go the mind and body follow. Yet disease is not something to be feared or overly worried about, rather, it can be seen as an indication that something in a person’s life is out of balance. Consequently, a disease or illness can be seen in quite a positive light, for it can point the person back towards the right path. Each person has a specific life plan or purpose and, once in tune with this and following it, the person’s life flows much more easily and successfully. It is our intuition or ‘gut feeling’ which helps to keep us aligned to our life purpose. 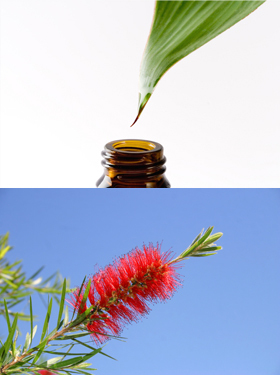 Australian Bush Flower Essences can help every condition and can be used in conjunction with other therapies. There are Combination Essences, Single Essences. Some essences are also available in spray and creams.